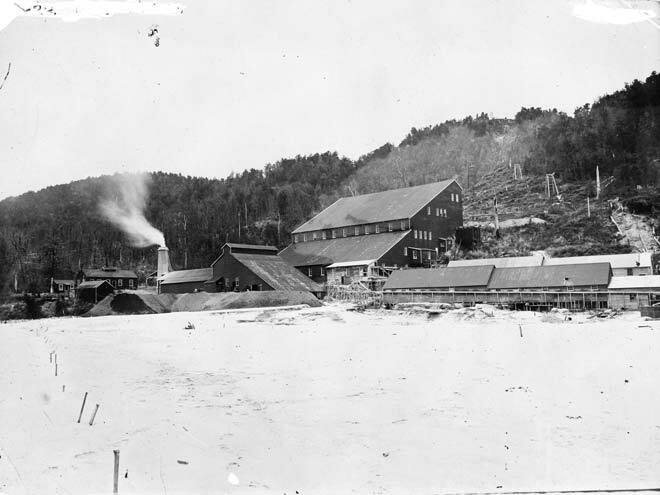 Gold processing plants were known as batteries, as the quartz was battered into powder by massive stampers. This released the gold particles so they could be chemically recovered using cyanide. This plant was in an area known as Crushington, near Reefton, on the West Coast.